My students LOVED picture books! Any time they would see me pull one from the shelf, the room would get quiet as they waited for the story to begin. What a great strategy for calming the room and getting students ready to learn! I used picture books all the time to teach content like writer’s craft, parts of speech, and science concepts. 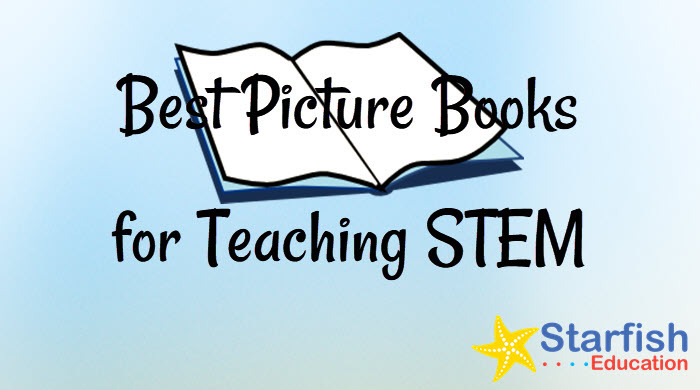 So, what could be better than leveraging students’ love of picture books (and my own if we’re being honest) to teach STEM? I’m a big fan of reading aloud to students of all ages and this is a great excuse (as if we needed one) to incorporate some language arts and writer’s craft into a lesson. 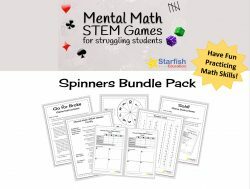 So what better way to put this into practice than to introduce a design challenge! In this series, all of the design challenges come with a student booklet that guides students through the Engineering Design Process. Just hop on over to your favorite book seller or local library to pick up the book that goes along with each one and you’re all set! Rosie Revere, Engineer by Andrea Beatty is a key book to share with students, especially at the beginning of the school year, because it addresses an important issue for most students: fear of failure. 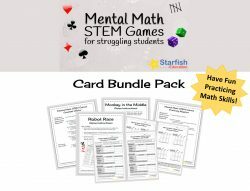 It provides an opportunity to help students understand that taking calculated risks (like raising their hands in class or sharing an idea with the group) is critical to future success and confidence. Those Darn Squirrels by Adam Rubin shows students that perseverance is an attribute for success (both on the part of the squirrels and Old Man Fookwire) and is a lesson that will benefit students in any endeavor, but especially in their pursuit of STEM skills. If I Built a House by Chris VanDusen helps kids to let their creative juices flow to see what features they would design for their fantasy houses. Students work in pairs or teams to design and build a stable house that has some special features. Have Fun Molly Lou Melon by Patty Lovell tells the story of a little girl with big ambitions and imagination. In this design challenge students use their imagination and creativity to design, build, and race balloon cars. Ada Twist, Scientist by Andrea Beatty- Students have a natural curiosity, so why not leverage it? In this accompanying design challenge, students will solve a problem that they might have wondered about- How do we get clean water? Secret Tree Fort by Brianne Farley is a whimsical, quick read-aloud and will start stirring student imagination as they work with their team to design their own tree fort…with some criteria and constraints, of course! Iggy Peck, Architect is another great book by Andrea Beatty. In this design challenge, students work with their team to design a suspension bridge that will rescue Iggy and his classmates. Just a Little Bit by Ann Tompert In this design challenge, students work with their teams to build and test a seesaw that will balance Elephant. Using their ingenuity, their criteria and constraints and the Engineering Design Process, students work towards the best solution. 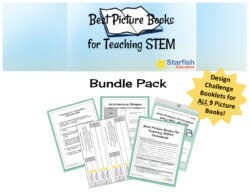 Get the Best Picture Books for Teaching STEM Bundle Pack!